Available to both MS and PhD candidates. Students selecting this specialization will be able to capitalize on the expertise of scientists and other students working on climate assessment, climate impacts, and problem-oriented policy research. A related graduate degree program in Agronomy & Horticulture has a specialization in Agricultural Meteorology and selected faculty from the School of Natural Resources can advise potential students. This specialization is for students interested in focusing on learning the methodologies to assess climate variability and longer-term climate change and their impacts on society and natural resource systems. Complex climate-based problems, and their interrelationships with natural resources and ecosystem management issues, are pervasive today and will become even more important in the future. 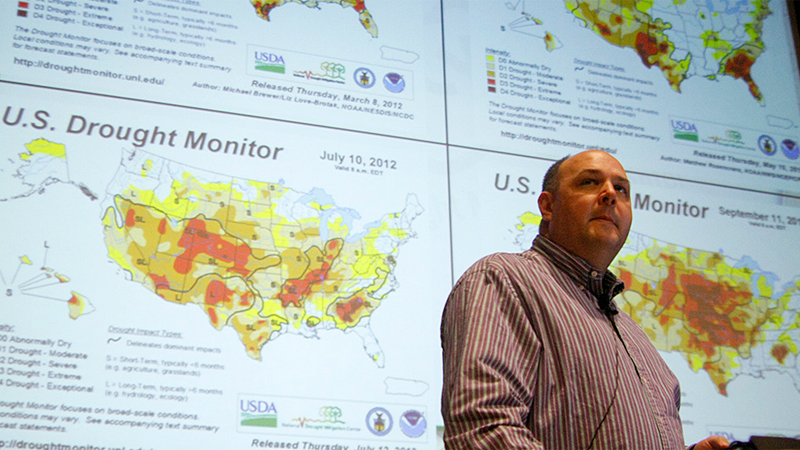 Issues such as natural hazard management, climate variability and climate change, changing frequency and severity of extreme climate events, environmental degradation, climate-crop interactions, carbon and water gas exchanges, deforestation, and natural resources management in light of the increasing demand for water and other natural resources are examples of potential topics covered within the scope of this specialization. Students selecting this specialization can enhance their learning experiences through interactions with the High Plains Regional Climate Center (HPRCC), the Nebraska State Climate Office (NSCO), the National Drought Mitigation Center (NDMC), and the Center for Advanced Land Management Information Technologies (CALMIT), four organizations housed under the School of Natural Resources that partner in many state, regional, national, and international climate-assessment activities. The NSCO also maintains the Automated Weather Data Network for Nebraska, which offers a wealth of climate data for research applications. The internationally-recognized Applied Climate Science faculty network provides students with the opportunity to interact with experts at other universities as well as with scientists in federal agencies and regional and international organizations. To utilize the opportunity to interact with experts associated with scientists at the HPRCC, NSCO, NDMC, and CALMIT, as well as scientists at other universities, federal agencies, and regional and international organizations. Undergraduate course work may meet some of the course requirements listed above. However, the student wishing the climate assessment and impacts specialization is still required to take a minimum of nine hours of graduate level climatology, climate impacts, remote sensing, GIS, or others courses related to climate assessment and impacts. The chair of the student’s supervisory committee must be from the climate assessment and impacts faculty listed on the specialization web page. Please see our entrance requirements and application procedure pages for more information about our admission and application expectations for graduate degree candidates. The U.S. Drought Monitor map provides a summary of drought conditions across the United States and Puerto Rico. 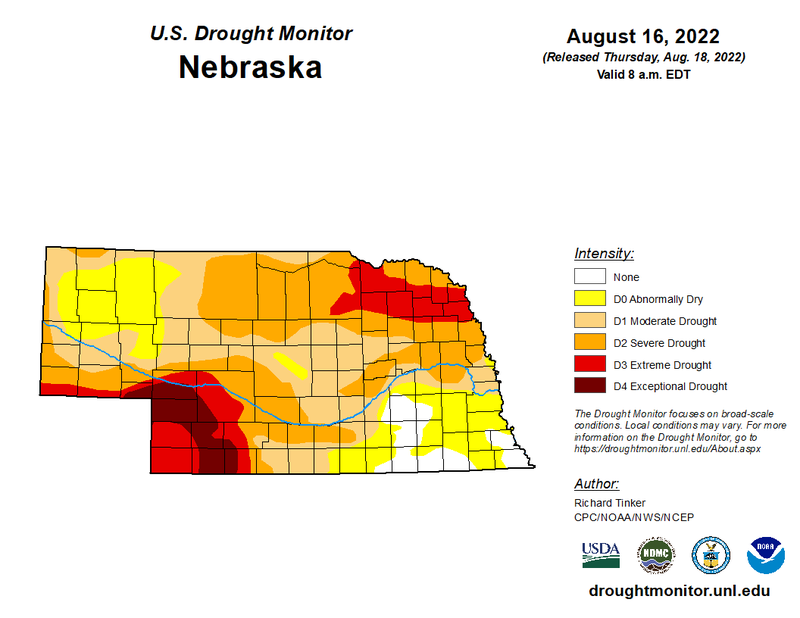 Often described as a blend of art and science, the map is updated weekly by combining a variety of data-based drought indices and indicators and local expert input into a single composite drought indicator. Weather stations are selected for SPI calculation dynamically. There is no fixed list of stations for any state at any time. 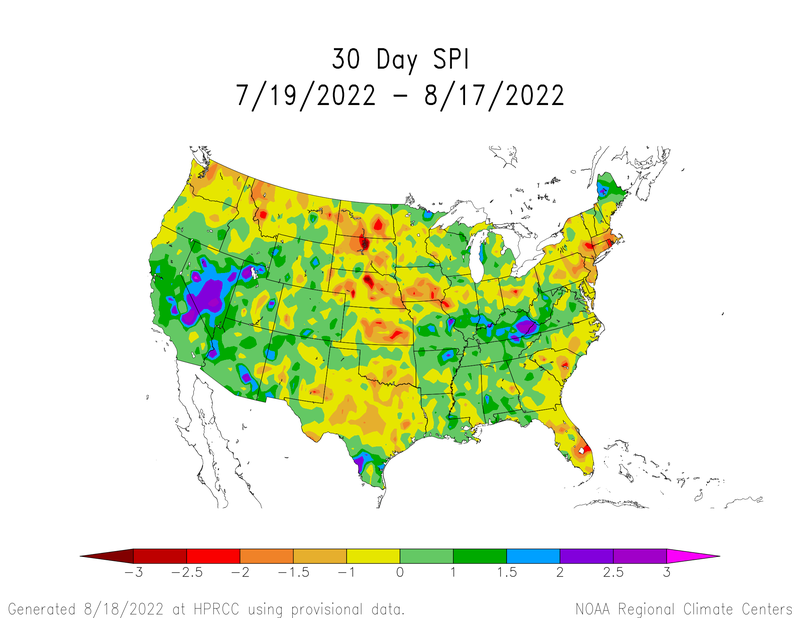 The selection is based on the availability of daily precipitation data historically and during the current time period. Stations must meet historical criteria and have current data available to calculate the Daily Gridded SPI. 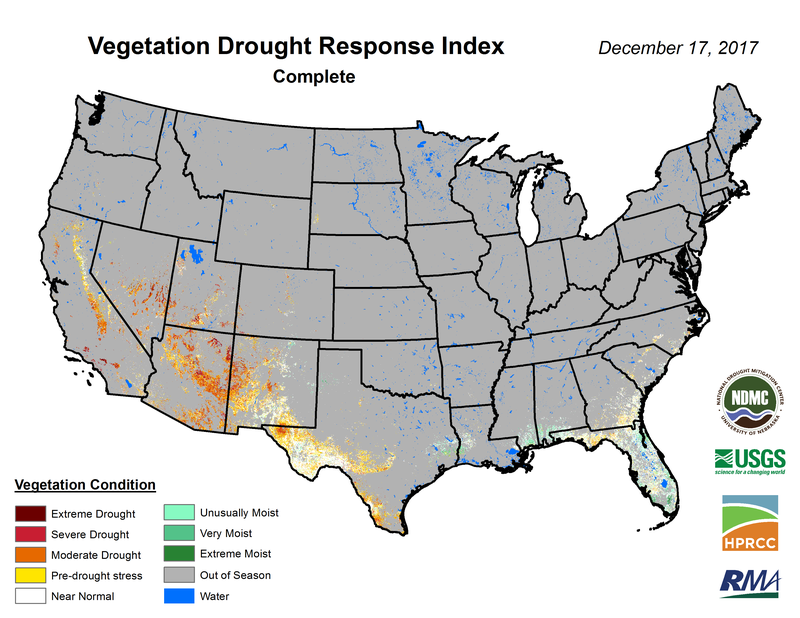 The Vegetation Drought Response Index, or VegDRI, is a bi-weekly depiction of vegetation stress across the contiguous United States. VegDRI is a fine resolution (1-km2) index based on remote sensing data, but unlike other satellite-based measurements, VegDRI also incorporates climate and biophysical data to determine the cause of vegetation stress.